Some notable reports were received in every month. In January, some cowbirds were reported to have been in residence all winter along Hildreth St. Bluebirds were visiting feeders all over town. In February, two pairs of hooded mergansers were reported on Forge Pond. A river otter was also seen fishing at the Forge Pond beach. The first woodcocks arrived early at Almeria Dr. on February 24. In March, peepers were heard on March 1. A river otter was seen on Vine Brook. On March 6, a great blue heron visited a yard on Howard Rd. On March 8, forty hooded mergansers and some ring-necked ducks were seen on Forge Pond. On March 13, hooded mergansers, blue winged-teal and wood ducks were seen on Flushing Pond. On March 14, a bear, out of hibernation, took down a bird feeder on Tadmuck Lane and on March 24, was seen at a feeder on Dana Drive. On March 21, turkey vultures soared over Monadnock Dr. On March 30, a pair of ravens flew over Chamberlain Rd. In April there was a heavy snow on April 1. On April 7, a phoebe arrived at Monadnock Drive. On April 7, spring peepers were heard on Monadnock Dr. By April 10, ten great blue heron nests were occupied in the wetland off Rome Dr. On April 11, chipping sparrows and a pine warbler arrived on Monadnock Dr. On April 11, wood frogs were heard on Main St. On April 14, painted turtles were sunning on Howard Rd. On April 20, an eastern towhee was heard on Monadnock Dr. On April 30, Baltimore orioles were seen on Hayrick Lane and on Chamberlain Rd. Also, a grey catbird first arrived at Chamberlain Rd. 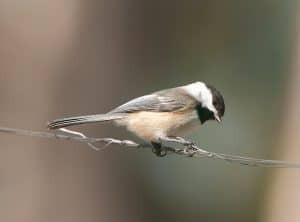 On May 3, rose-breasted grosbeak, common yellowthroat, prairie warbler, towhee, and chestnut-sided warbler were all seen on Monadnock Dr. On May 2, a ruby-throated hummingbird was reported on Hayrick Lane. On May 2, a whippoorwill was heard on Chamberlain Rd. On May 6, a very unusual great egret was flying over Nashoba Pond. On May 13 at the Emmet land, ovenbirds, warbling vireos, and spotted sandpiper were heard. On May 14, white-crowned sparrow, indigo bunting, and blue-winged warbler were seen on Parkhurst Dr. On May 17, a great-crested flycatcher was first heard on Chamberlain Rd. On May 24, wood thrush and scarlet tanager were heard on Chamberlain Rd. On May 21, a bobcat was seen on Main St., and a gray fox was seen on Graniteville Rd. On May 23, a black bear was seen on Heywood Rd. on May 24, a redstart was seen on Sherwood Dr.
On June 1, black ducks were seen on Hayrick Rd. A red-eyed vireo was heard on Monadnock Dr. A great blue heron was catching chipmunks on Monadnock Dr. On June 4, a killdeer was nesting on Gould Rd. On June 7, a blue-headed vireo and a yellow warbler were heard on Chamberlain Rd. A Carolina wren pair was nesting inside a screened porch. On June 15, chimney swifts were seen to be nesting in the Roudenbush cupola. On June 20, kingbird and mockingbird were seen on Hayrick Lane. On June 26, ravens flew over Depot St.
On July 18, a gray fox was seen on Vine Brook Rd. Reports of bats have been almost non-existent this summer. One bat was seen flying over Monadnock Dr. on July 19. On July 19, a six-spotted tiger beetle was reported from Howard Rd. On July 22, two monarch butterflies were seen on Howard Rd., and a white admiral butterfly was seen on swamp milkweed. On August, 6, ten cedar waxwings were seen at Lakeside Meadows. On August, 8, chimney swifts and an eastern wood peewee were seen on Monadnock Dr. On August 25, two blue-spotted salamanders were found on Providence Rd., under a potted plant. On August 29, a mute swan family of six was seen on Beaver Brook. On September 1, six wood ducks were seen on Beaver Brook. On September 3, a black bear visited a feeder on Providence Rd. On September 5, a bear was seen walking along Groton Rd. On September 7, four young bobcats were playing in a Depot St. yard. On September 22, large- mouthed bass and pickerels were brought in from Stony Brook by fishermen. A cuckoo was heard on Graniteville Rd. On September 23, monarch butterflies were seen on Gray Fox Lane and at the Haystack land. On September 24, a northern leopard frog was seen on Hayrick Lane. On October 8, a great-horned owl was heard on Providence Rd. On October 10, a black bear was at a feeder on Plain Rd. On October 15, a bear was at a feeder on Court Rd. On October 22, a bald eagle was being harassed by crows on Groton Rd. November and the first part of December was unusually warm, with temperatures regularly in the 50’s and 60’s. As a result, birds seemed to be finding plenty of natural food, and didn’t visit feeders in big numbers. The December 9th snowfall brought many birds back to feeders. Rosemarie Koester, Providence Rd. November 2, hawk sitting on top of neighbor’s roof. Pair of blue jays, pair of cardinals come daily, purple finch and house finches, several goldfinches, white-throated sparrow. November 11, coyote in yard, howled for a bit., four gray squirrels. November 18, first junco sighted, the latest I have seen them arrive. A few chickadees, tufted titmouse, nuthatch, wren sitting on railing of deck. Downy, red-bellied woodpeckers, owl heard far away. December 26, Carolina wren in yard. Ginger Dries, Sherwood Dr. November 5, Carolina wren. November 9, first junco. November 10, hawk sitting by feeders most of the day. Twenty-five to thirty robins on crabapple tree. Over several days, they ate until crabapples all gone. Many jays, cardinals, titmice, chickadees, red-bellied, hairy and downy woodpeckers, mourning doves, sparrows. Marian/Bill Harman, Chamberlain Rd. November 26, unusually warm weather– in the 60’s. Nine mourning doves, pair of downy woodpeckers, two blue jays, two chickadees, two titmice, one white-breasted nuthatch, one cardinal, one house finch, ten house sparrows. Marcia Stokes at East Boston Camps. December 3 barred owls seen. Leslie Thomas, Old Colony Dr. December 6, two big deer behind the garage in the woods. Later saw a third. December 15, four deer this morning. Marian/Bill Harman, Chamberlain Rd. December 6, four large male turkeys crossing the street. December 10, ten mourning doves, pair of downy woodpeckers, three blue jays, two chickadees, one titmouse, two Carolina wrens, Two female and one male cardinal, eight juncos, fifteen house sparrows, pair of red-bellied woodpeckers, one gray squirrel. Gerry DiBello, Court Rd. December 17, coyote seen about 8 a. between 4 and 6 Court Rd. Margaret Wheeler, Depot St. December 16, two deer lying under some evergreens at the back of our yard. They stayed there for over an hour until six wild tom turkeys walked over from next door to check them out. Rosemarie Koester, Providence Rd. December report: Three cardinals, one pair of blue jays goldfinches, purple and house finches, white-throated sparrows, eight juncos, tufted titmice, chickadees, nuthatches, several doves, crows heard. December 17, heard a pack of coyotes, saw gray squirrels. December 23, heard two owls chatting together at 2 a.m., one with a lower voice than the other. Hawk checked out our feeders and then left. Caught with outdoor camera, several deer at 4 am in back yard, saw deer prints after first snowfall. Penny LaCroix at Forge Village dam. I counted 135 mallard ducks by the dam. Also saw ten swans and a blue heron on the pond. Marian/Bill Harman, Old Colony Dr. December 24, just got some feeders up on the deck at our new condo. After a few days, they were brave enough to come. Today we were happy to host eleven juncos, two blue jays, 3 titmice, 3 chickadees, a goldfinch, four house finches, two downy woodpeckers, a mourning dove, a red-bellied woodpecker, and a grey squirrel. Marilyn Day, Graniteville Rd. December 26, blue bird in yard sitting on our anemometer pole. Marian Harman is a member of the Westford Conservation Trust, a non-profit conservation organization dedicated to the preservation of Westford’s trails and open spaces. The Trust welcomes new members and volunteers. Check out our website at westfordconservationtrust.org and visit us on Facebook.